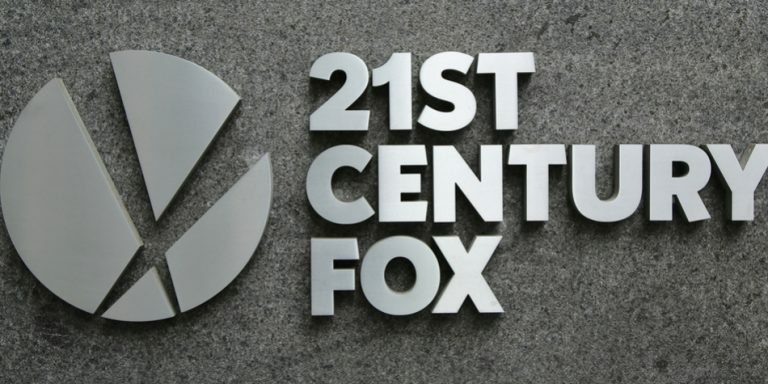 As of the latest look, Walt Disney Co (NYSE:DIS) is set to acquire most of Twenty-First Century Fox (NASDAQ:FOXA). The updated offer, valuing the company at $71.3 billion worth of cash and DIS stock, was better than the one Comcast (NASDAQ:CMCSA) had put in just a few weeks prior. Regulators have already given the deal the green light too. Barring a surprise counter-offer from television and movie outfit Comcast, the Disney/Fox deal could close soon. The acquisition process will be far from over then, however. In order to appease regulators, Disney — as Comcast would have as well — has already planned the sale of all 22 of Fox’s regional sports networks. Owning them on top of owning ESPN would, in the Department of Justice’s scrutinizing eyes, otherwise make the media giant too dominant in the athletic entertainment market. It’s this sale that DIS stock holders may want to watch closely. It could mean the difference between an overly expensive acquisition and a bargain. The proceeds from the sale of those regional sports channels will ultimately offset the cost of the overall Fox deal. The question is what are these networks worth? The short explanation of a complicated matter is the DOJ’s antitrust arm, as well as the FCC — albeit to a lesser degree — take issue with certain ownership structures within the media market. The Department of Justice’s basic mandate is to ensure a lack of competition stemming from mergers and acquisitions doesn’t ultimately harm consumers. The Federal Communications Commission takes aim at the same basic hazard, but from a different direction. It simply wants to ensure the nation’s mediums aren’t lopsided in terms of the messages, and kinds of messages, being passed along to consumers. The recently-approved merger of AT&T (NYSE:T) and Time Warner was subject to such scrutiny. The DOJ was primarily concerned that the pairing would ultimately decrease competition. But, AT&T prevailed in proving that wouldn’t be the case. That victory, in fact, was the reason Walt Disney was willing to forge ahead with its bid for Fox. The AT&T/Time Warner deal wasn’t exactly parallel to the proposed union of Disney and Twenty-First Century Fox. But it was meaningful in the sense that it served as a barometer of how the nation’s court system, and federal government, felt about media mergers that weren’t exactly horizontal or vertical deals. Broadly speaking, regulators may not be thrilled about them, but they also seem unable to do much to block them. The DOJ’s only “win,” so to speak, was to force the sale of the aforementioned 22 regional sports networks. Those paired with Disney’s ESPN would simply be too much presence from one company in one kind of television venue. And that is the proverbial $64,000 question: What’s the arguable market price for 22 regional sports channels that may or may not be better off being sold together? Details on their profitability are scant, somewhat by design. But there are some highly educated guesses as to how much these regional channels could fetch when they’re put up for sale. Guggenheim Securities, for instance, believes those regional stations are collectively worth $22.4 billion. Perhaps a more accurate measure of their value is the net EBITDA they typically produce. That’s $1.8 billion per annum, give or take. For perspective, Disney is shelling out roughly 16 times Fox’s overall EBITDA. Assuming that multiple still applies when Disney seeks to sell the sports networks in question — though such a premium is unlikely — that would peg the sale at around $28.8 billion. Whatever the final figure ends up being, the scope is clear. Of course, the final asking price will also largely depend on who the final buyer is — or buyers are — and how well they could monetize it. Some curious names have come up, including, of all companies, Amazon.com (NASDAQ:AMZN). “Amazon’s a really interesting possibility,” says Alan Wolk, co-founder and lead analyst at media consulting firm TV[R]EV. He notes that the e-commerce giant already owns rights to broadcast Premier League soccer in the U.K. and the NFL’s Thursday Night games’ broadcast rights. Adding regional sports to the mix could prove a significant draw of newcomers to the Amazon ecosystem. Wolk also notes, however, that Amazon hasn’t done a great job of leveraging its rights to broadcast sports events. That makes a company more along the lines of AT&T, which also owns DirecTV and offers the so-called NFL Sunday Ticket a more plausible buyer. Any offer from AT&T is apt to be at the lower end of the price scale, while an Amazon offer would likely start near the upper end. Whatever the case, it’s premature to weigh the risks and rewards the sale of Fox’s regional sports networks could mean for DIS stock. It’s still possible — even plausible — that Comcast will come back with an even-better offer. Nothing is etched in stone. Even so, the Disney/Fox deal is the one in place until further notice. And broadly speaking, it’s the one that Fox’s folks seem to prefer. Disney simply seems better positioned to do something amazing with what Fox has built over the years. To that end, this is a matter currently of far greater concern to current and prospective DIS stock holders than CMCSA shareholders. Now we can only wait and see how it all pans out. It should be interesting no matter what, as it will ultimately lower the total cost of what’s become an expensive acquisition. Article printed from InvestorPlace Media, https://investorplace.com/2018/07/next-scene-disney-fox-drama-selling-22-regional-sports-networks/.